The MINI EXCAVATOR can operate in tight quarters and because of it’s lower weight, does less damage to the landscape. This is the ideal solution for many types of construction projects, rock walls, and landscape detailing. 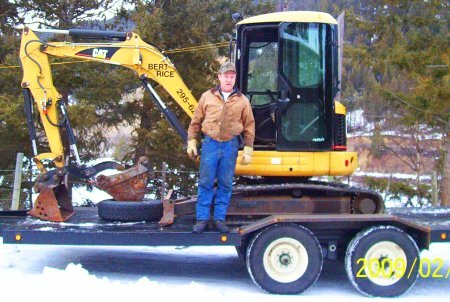 The MINI EXCAVATOR is only 61″ wide so it has the ability to fit between trees and other obstacles. This makes it possible to do work in places that larger machines cannot access. The near zero tailswing and superior maneuverability in a confined space can make all the difference. This could be the solution you’ve been looking for. 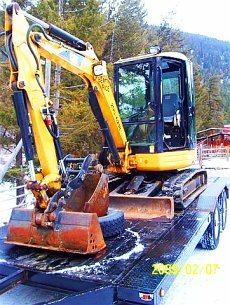 This machine comes with 16″ and 36″ buckets, the ability to dig over 10′ deep, and a confident operator with 15 years experience. Save your back and save your money. Call Bert Rice 250-295-6218 ~ Ready when you are!